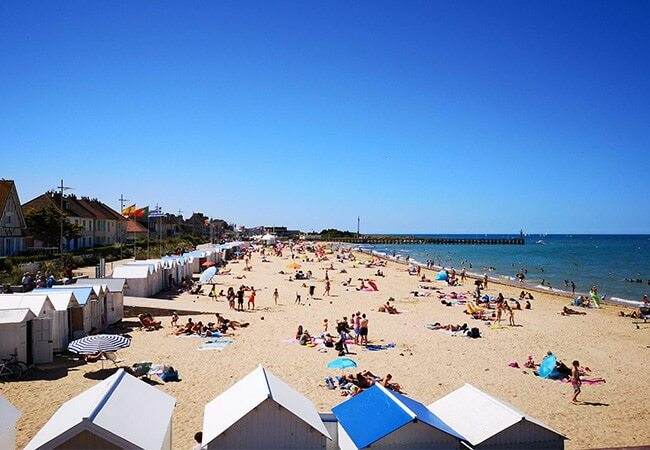 Calvados' immense fine sandy beaches offer a multitude of activities to enjoy. 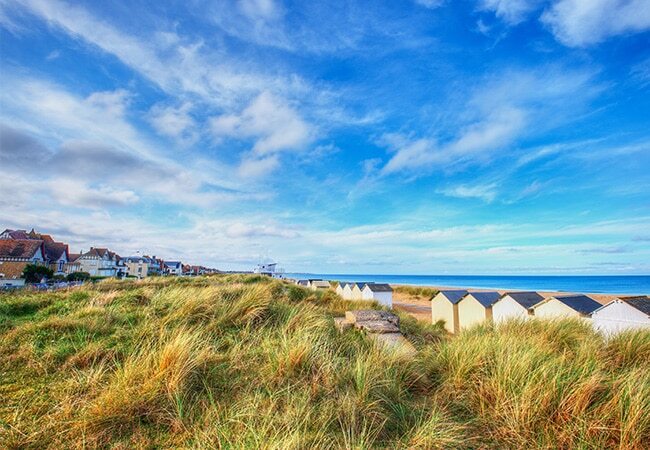 The Calvados coast stretches along a distance of 75 miles, via several seaside resorts, many of which boast splendid, or even famous, villas. 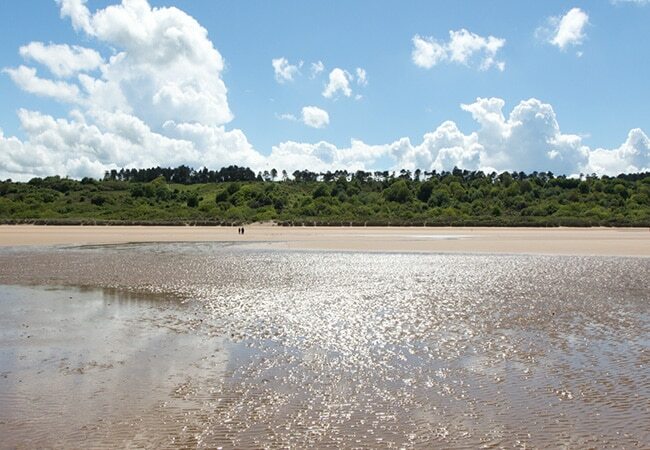 The 4 miles of Omaha Beach offer a diversity of different environments. At Colleville-sur-Mer, it unveils its wildest landscapes, across the dunes and verdant clifftops. 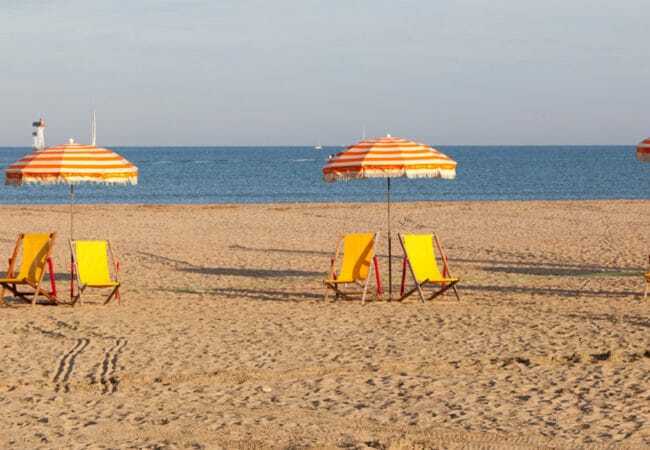 In Saint-Laurent-sur-Mer and Vierville-sur-Mer, it offers the perfect base to enjoy with the family, over a swim, a sand castle contest or simply a moment's respite... In the summer, Omaha's 3 beaches are watched over by life guards. 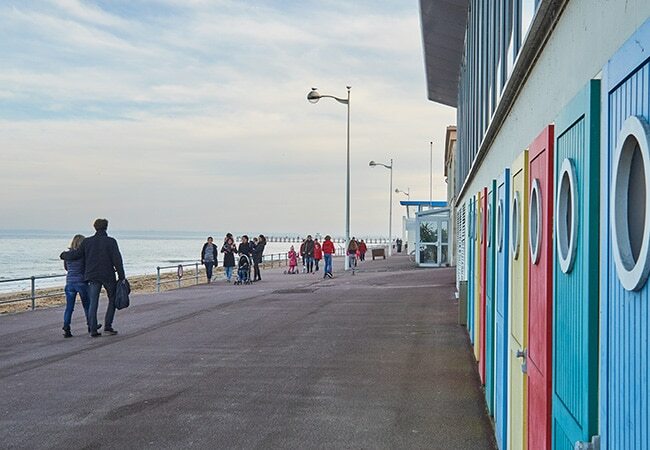 Luc-sur-Mer, on the Côte de Nacre coast, is the perfect family destination, offering a lovely beach where your kids can amuse themselves gathering shells and even fossils. 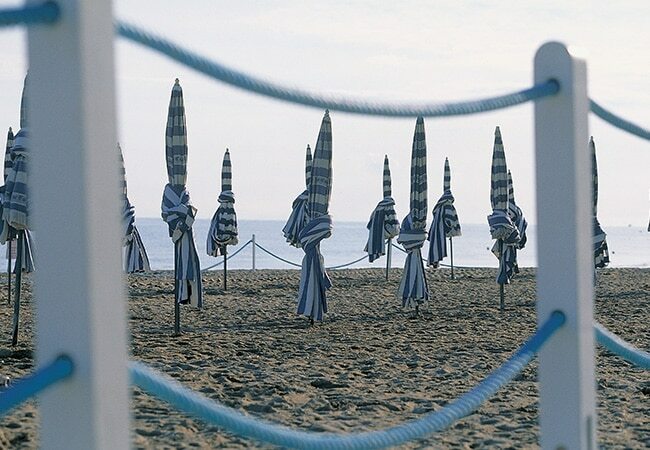 Along the Marcel Proust promenade, the 'romantic beach' is a gentle medley of charm and romanticism, enlivened in the summer by a whole programme of events. 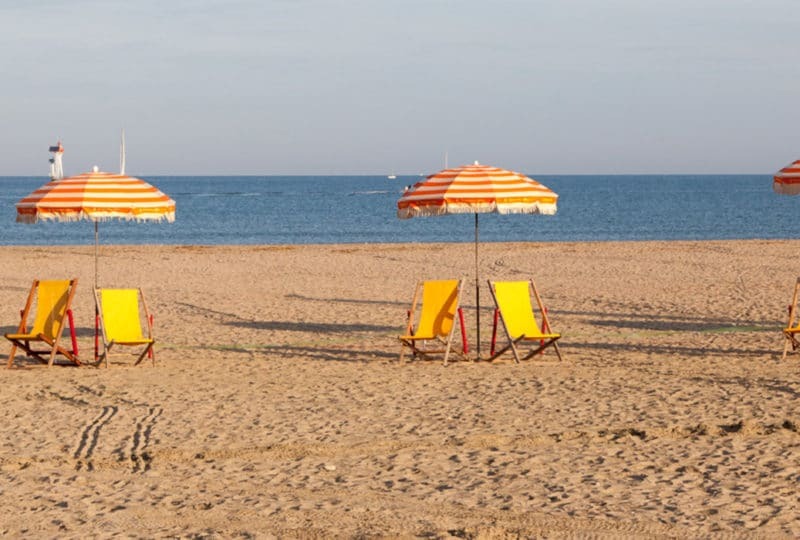 Land yachting, sailing, stand-up paddle and a range of other nautical activities await the young and the not so young at the Ouistreham Riva-Bella beach. Over a mile of fine sandy beach to relax and perfect your tan or to test one of the many activities on offer at the sailing school. 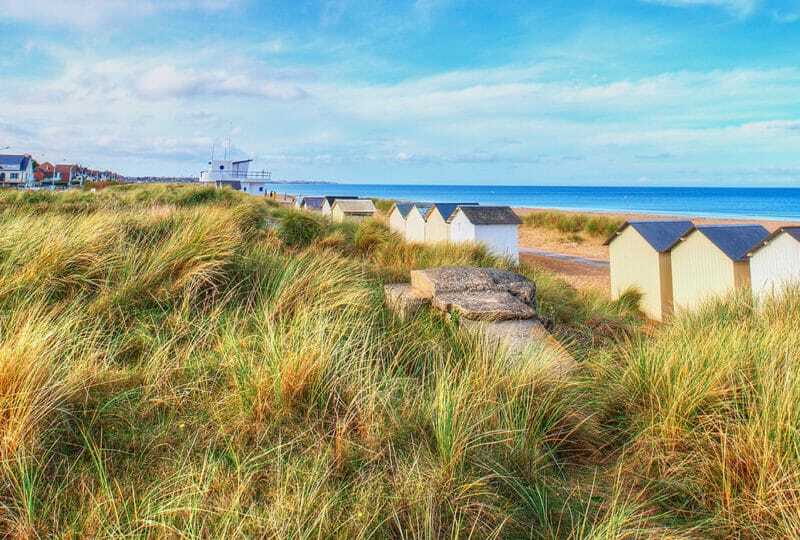 Here, the beach is a certified 'Blue Flag' site, thanks to the quality of its water.